Summer is a time of free expression, celebration and outdoor engagement, regardless of cancer. It’s true that energy may be lacking, spirits low and strength minimized when dealing with cancer, but there are still fun ways to engage in summer activity and experience the joys which summer facilitates. In fact, most summer activities can still be enjoyed when going through cancer treatment. There may simply need to be slight modifications on intensity, duration and sun exposure. Walking; fruit, vegetable and flower picking; cancer-oriented summer programs; bird watching and outdoor reading are all fun summer activities which too promote health and wellness. Hiking or walking is a great way to experience the outdoor scenery while also getting some healthy exercise. This is particularly good when a path is shaded by surrounding greenery. In general, it’s advised that cancer patients stay out of the sun during the hottest times of the day, between 10:00 AM and 3:00 PM. However, a shaded and cooler path may allow for some outdoor time without risking overheating or too much sun exposure. The physical activity which walking provides can help keep the musculoskeletal system functioning well and reduce muscular atrophy. Physical activity can also promote metabolic health by increasing oxygen availability to the body’s tissues. Physical activity helps to promote adaptive changes which make oxygen delivery more efficient. 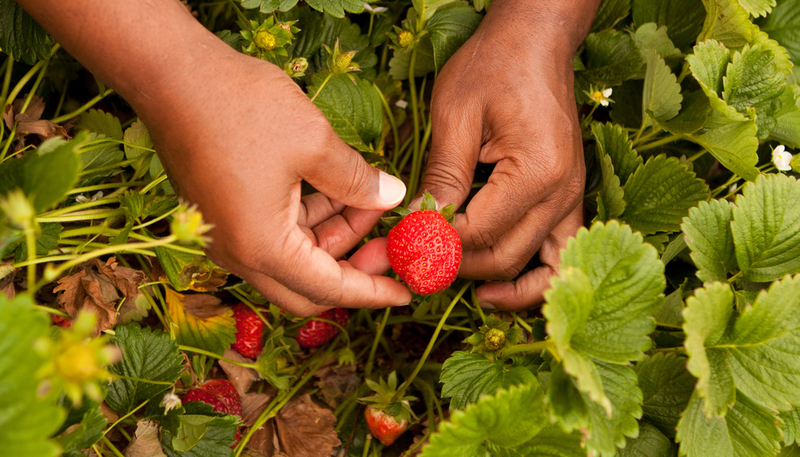 Fruit, vegetable and flower picking are other great summer activities to participate in. These activities are rich in positive sensory experiences such as color, taste and smell. They also, generally, promote healthy eating. Whether it’s berries, peaches or tomatoes, fresh produce will certainly be beneficial to the immune system. With any luck, these rich and fresh tastes may even spark a new affinity for healthy foods which could ultimately shift cravings and impulse grocery purchasing. While a healthy occasional snack is certainly welcome, real health changes are usually experienced with habit change. Given that farms are often in sunny areas with limited shade, it will be important to dress appropriately and wear sunscreen. This is additionally important because chemotherapy and radiation can increase sensitivity to the sun. It will be important to keep radiated or scarred areas out of direct sunlight. Again, times between mid-morning and mid-afternoon are advised. Depending on the stage of cancer treatment or type of cancer, common options may be more limited. Similarly, depending on the person, social support may be more or less helpful. Luckily, there are many fun summer programs for people diagnosed with cancer that include medical supervision and peer-bonding activities. These programs may also include campfire singing, zip-lining, yoga classes, cooking classes, guided meditations, educational seminars, motivational seminars and emotionally connective group activates. Below is a link to a list of doctor-approved summer programs. Don’t let cancer bog you down this summer! You deserve to feel the joy that summer brings.